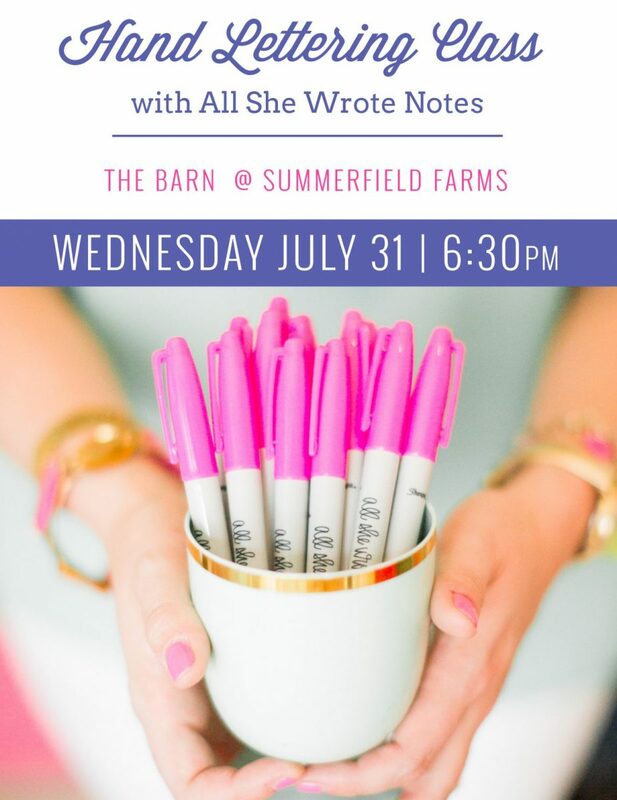 Learn how to create the most beautiful hand lettering in The Barn at Summerfield Farms with All She Wrotes Notes! All supplies will be provided and Maghon will provide feedback and encouragement throughout the class. No experience necessary. We are all in this adventure together! Cost is $38 per attendee and must be paid for online prior to the workshop.